We, Peter and Lorraine, welcome you to Bellrock Lodge, our home and hopefully your home away from home. We aim to create an atmosphere where you can relax and unwind in 5-star luxury. There are four guest units on the lower level, each with a private entrance and patio. 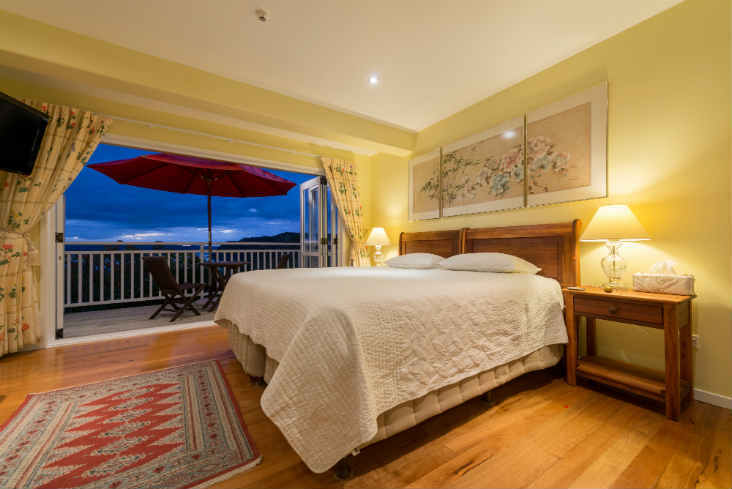 All units are ensuite and have a fully equipped kitchenette and a private patio overlooking Russell Village and the Bay. Each kitchenette has a two-plate glass top stove, microwave, bar fridge and single draw dishwasher and all the necessary cutlery, crockery, cooking utensils and pots. All the beds are king sized beds, which can be split into single beds. Each unit has a two-seater dining table, two lounging chairs, flat screen TV with free view decoder, DVD player and iPod docking station/radio. Upstairs, you will find a lounge, dining room and bar for the exclusive use of our guests. On the adjoining patio there is a gas BBQ, table and chairs. Bellrock Lodge was awarded a 5 Star Qualmark rating in 2012. The same year the Lodge received its first Tripadvisor reward for Excellence (98%) and since then the Lodge has won the Travelers’ Choice Award in 2013, 2014, 2015, 2016 and 2017. 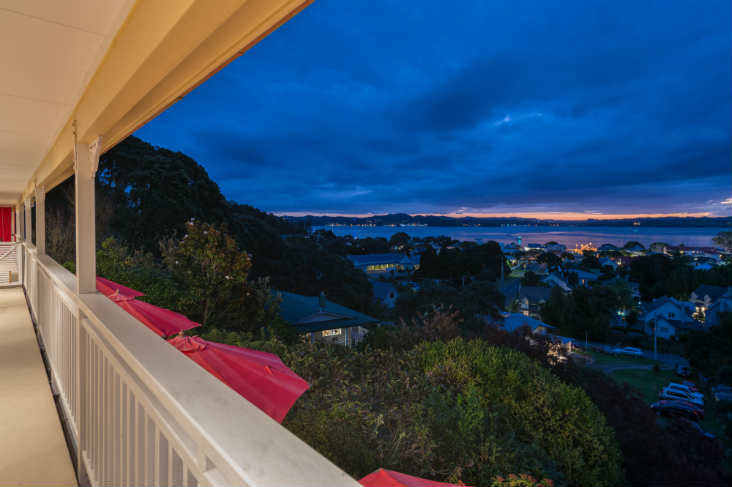 It has also been under the top 10 properties in NZ, placing third in 2015 and 2016. 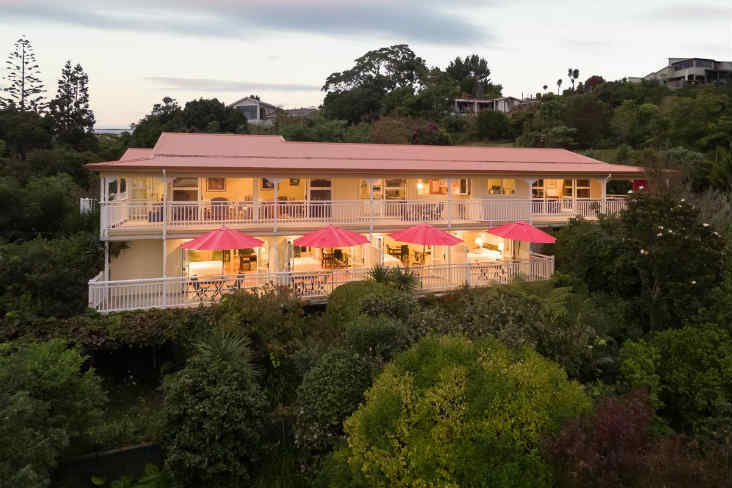 Bellrock Lodge was also awarded Top Hotel on the North Island on Trivago in 2015. Our Booking.com rating sits at 9.9 (out of 10) for the last 3 years.